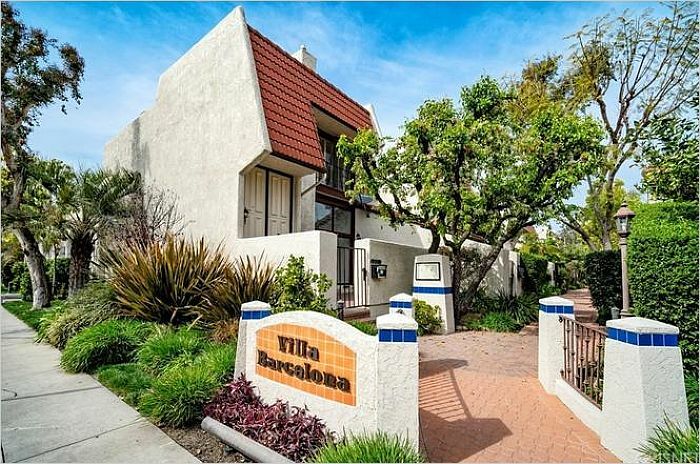 Most sought after complex and location in Villa Barcelona! This corner unit is move-in-ready and has been freshly painted with previous upgrades. 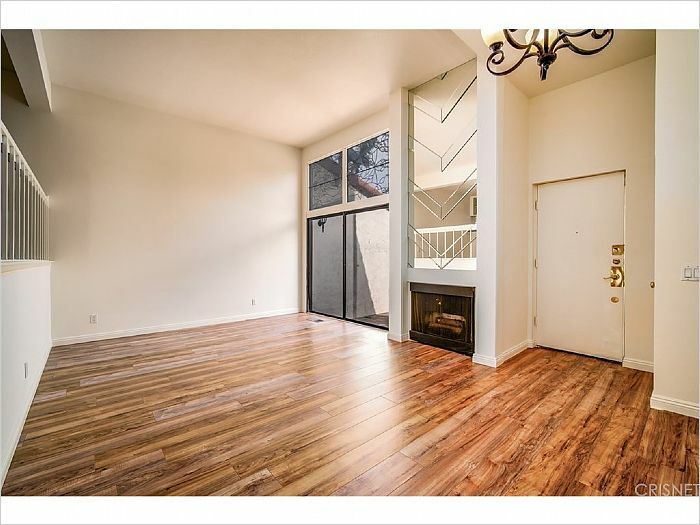 The townhome brings bright natural lighting throughout, and offers a multi-level open floor plan with high ceilings and laminate flooring throughout. The living room has large windows facing a private patio, and floor to ceiling focal fireplace. There?s also a formal dining area that can be used as additional living space. 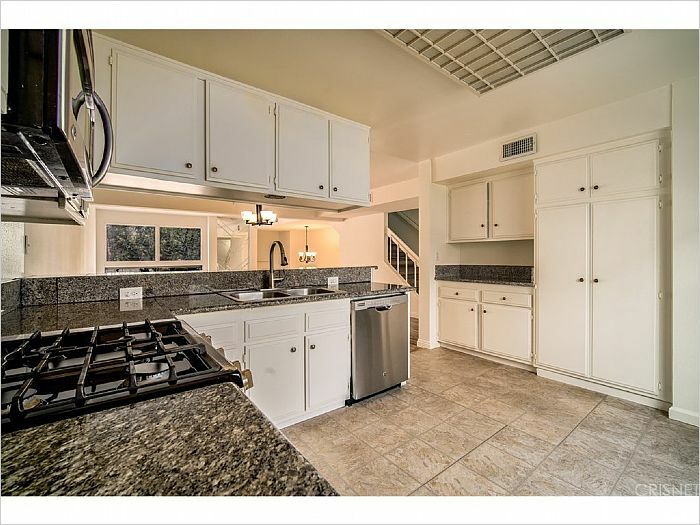 Across is the kitchen posing a stainless steel stove and appliances with plenty of cabinetry. Upstairs you have a large master suite with mirrored closets and master bathroom. The second bedroom has a private balcony and a versatile built-in vanity table. Other highlights of the unit include a direct access two (2) car garage and a separate in-unit laundry room with storage. The low HOAs includes earthquake insurance, and offers well-manicured grounds, designed water features, a resort style pool and spa area. 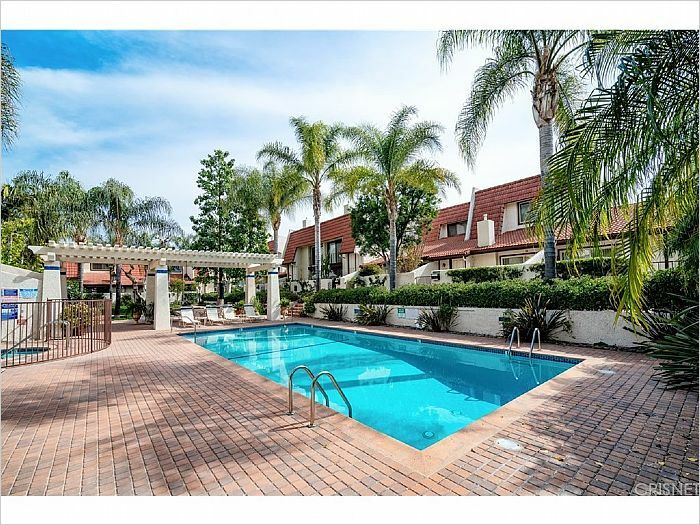 As if that?s not enough, the location buys you into a lifestyle fit for SoCal living. 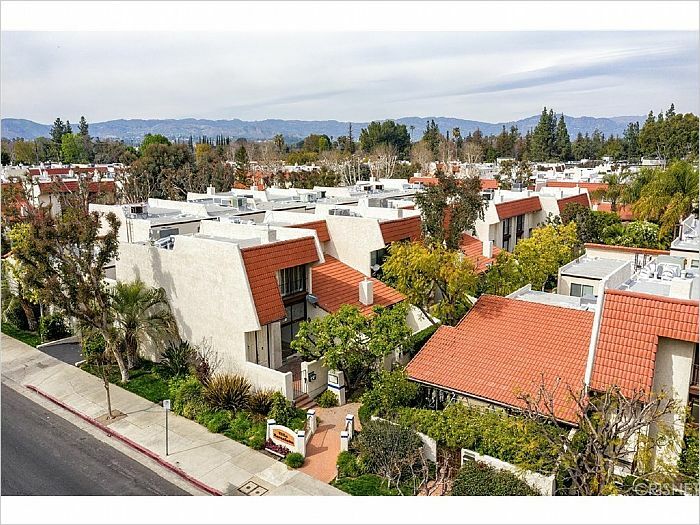 You can walk to Westfield Topanga and The Village, premium shopping, Costco, fine dining locations, and minutes away from Topanga hiking trails, Calabasas Commons, Malibu Beach, and easy freeway access.